On the search for a good example of an MG Midget, the other junior British sports car showed up in some results. With its diminutive size and Italian styling, it could have easily passed for an etceterini in another life, so how about this equation: (Triumph Spitfire) + (hopped up Fiat 1100 engine + cool Italian wheels) = profit? Okay, maybe that’s a bit absurd, so let’s try a Spitfire with a hopped up Spitfire engine, and fortunately there’s this 1974 Triumph Spitfire for sale for $3000 in Bullhead City, AZ. The concept of a British roadster as a daily driver has more or less disappeared from our roads. And while the remaining cars are often restored, collector-quality examples, there are still driver-quality ones out there that more closely resemble what you might have chosen as your fun driver before the Miata showed up. And aside from pleasing the patina fiends, and people who say it’s only original once, there’s something fun in seeing a car that’s not perfect, and there’s almost a more nostalgic sense from seeing a car in the state it would have been as a 15-year-old used car instead of one that’s showroom new. 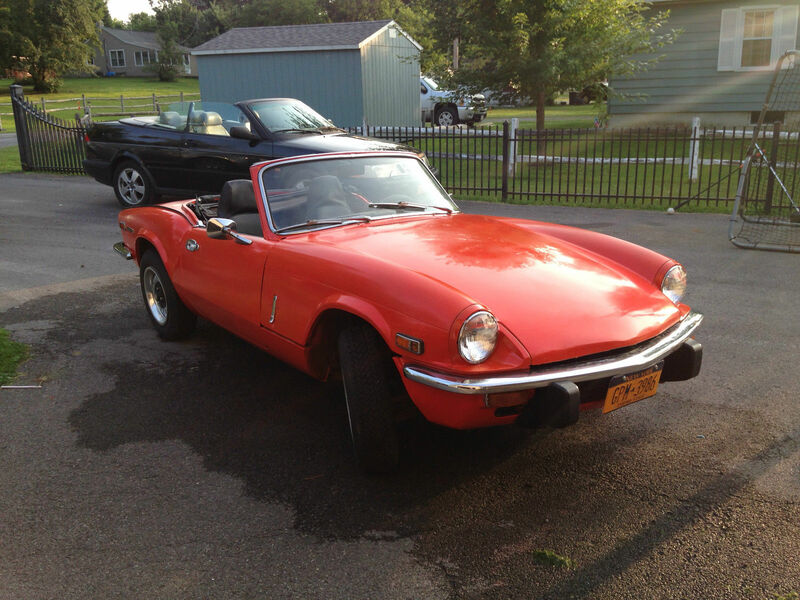 A great example of this is this 1972 Triumph Spitfire for sale with bidding at $2550, no reserve, and only 2 hours left to go in Cicero, NY.